Berg's new Edmonton office offers one-stop-shop for industrial refrigeration services and support | Berg Chilling Systems Inc.
From its new location on 47 Street in North West Edmonton, Berg will be providing customers with a complete service offering unique to the industry – featuring both natural and HFC based refrigerants – and can respond to customer needs on a 24/7 basis, 365 days a year anywhere in Western Canada. Berggren says Berg is steadily increasing its market share in the recreational ice rink and food and beverage sectors, and will be focusing on providing the custom engineered thermal process energy management solutions and high-quality service Berg is known for in both natural and synthetic refrigerants. Berg Chilling Systems designs, manufacturers, installs and services custom industrial thermal process control systems for a broad range of industries and specialized applications around the world. 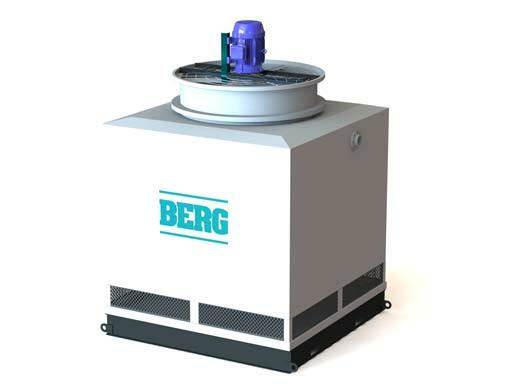 For more than 45 years, Berg continues to satisfy customers with 5,000 chilling systems in more than 30 industries across 50 countries worldwide. We design, manufacture, test and integrate skid mounted process refrigeration equipment, mechanical packages and fluid pumping systems using both natural and synthetic refrigerants for ease of installation and commissioning.